Walking conditions – Nearly all tarmac paths. No difficulties. Buggy compatible. If you thought that the abundance of squirrels was the only reason to visit Queen’s Park you couldn’t be more wrong. Apart from being in the ‘trendy’ part of Glasgow’s South Side, Queen’s Park has a number of attractions including a glasshouse featuring the Zen Garden, ponds, tropical fish, exotic birds and an excellent reptile house. There’s even a small soft play area for the under 5s. And it’s all free! There is also much to keep you occupied on your way around the park. Make your start/ finish point the Queen’s Park Glasshouse. From the Glasshouse exit right. After a few metres take another right leading onto a dirt footpath that takes you along the rear of the Glasshouse. 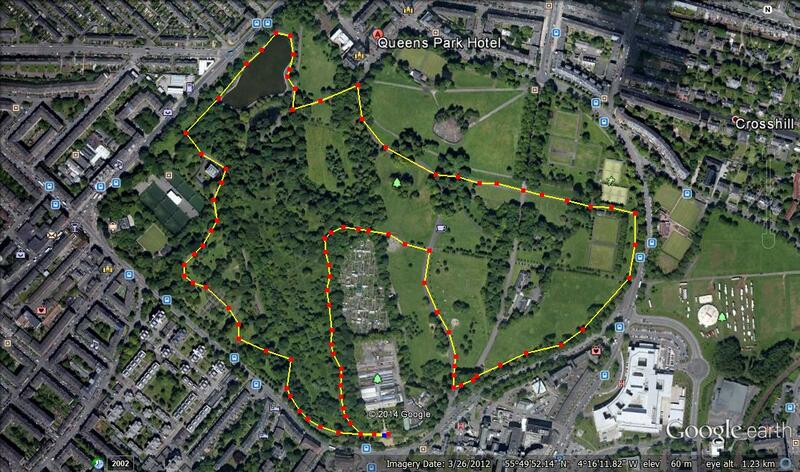 After about 400 metres you will come out at the Queen’s Park Flagpole which is the highest and best viewpoint in Glasgow City. When you make your way down form there you’re pretty much just circum-navigating the park. Try to ensure that you visit the play-parks, nature pond and rose gardens. And don’t forget to keep your eyes peeled for squirrels! 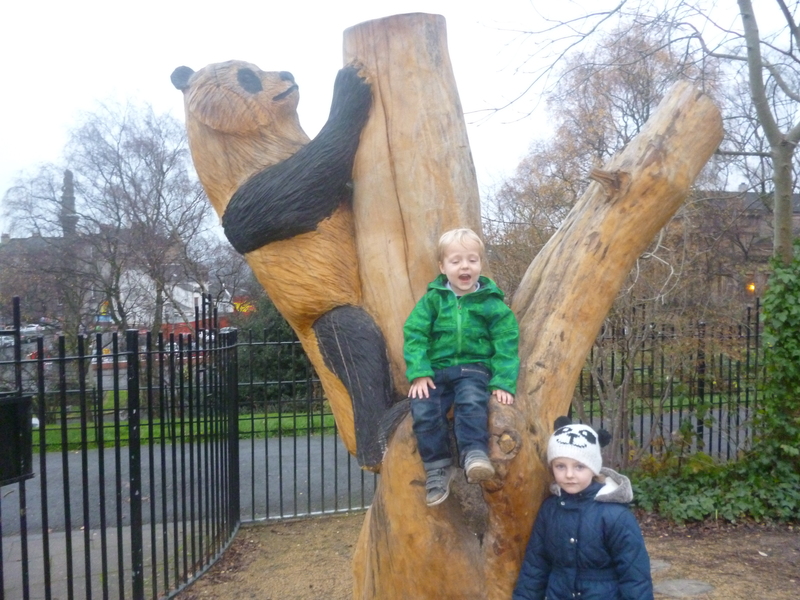 This entry was posted in Glasgow and Surrounds and tagged buggy, city walks, Glasgow walks on December 5, 2014 by scotlandwalkswithchildren. Walking conditions – Entirely roads, pavements and good paths. No difficulties. Glaswegians like a long lie at the weekend; apart from those who haven’t been to bed yet. This provides the fantastic opportunity of going for a morning walk around some of the Scotland’s busiest and most interesting streets whilst it’s still quiet. Park at Templeton Street on Glasgow Green. Walk along this road and you will quickly reach the Doulton Fountain, which is the world’s largest Terracotta fountain and lies next to the People’s Palace. The People’s Palace is also a great tourist attraction. Apart from the museum (free entry) which charts the history of Glasgow there is a magnificent large glasshouse at the back which is home to a delightful café and features a variety of trees and shrubbery and leads out into beautiful gardens. From there, walk to the other side of Glasgow Green and cross the road at the High Court. 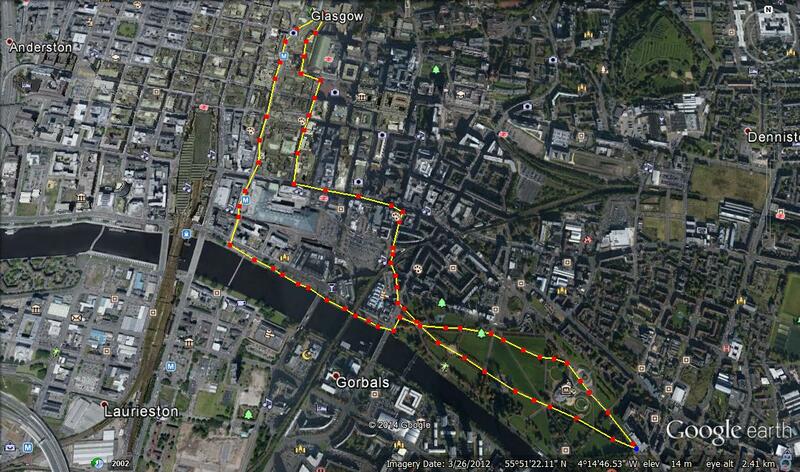 Follow the path next to the Clyde for a few hundred metres then turn right just past the St. Enoch’s Centre. This will take you directly to the pedestrianized zone of Buchanan Street which my wife reliably informs me is one of Europe’s great retail centres. Walk as far as the Buchanan Galleries then walk down to George Square. There is always something going here including any manner of street performers and organised displays. By now you will probably experience the dilemma of choosing somewhere to go for lunch. If you walk from George Square down Queen Street you will find a number of well-reputed places to eat at Royal Exchange Square. Then make your way back to Glasgow Green via Argyll Street. There are some really good play-parks in Glasgow Green particularly the one on Templeton Street which should be close to where you’ve parked. 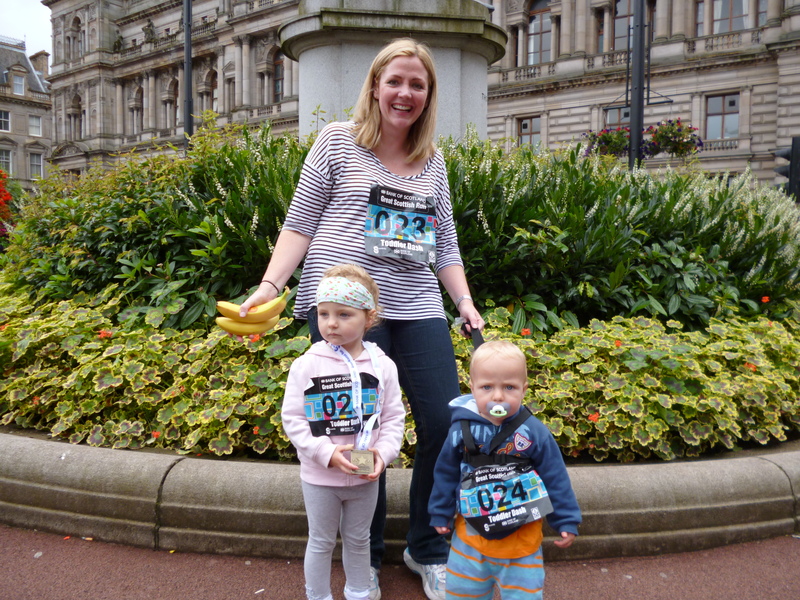 This entry was posted in Glasgow and Surrounds and tagged buggy, city walks, Clyde Walkways, Glasgow walks on November 1, 2014 by scotlandwalkswithchildren. Walking conditions – Easy walking on good footpaths. Fairly flat. No difficulties. Cathkin Braes is undoubtedly the best location to view Glasgow from the south. 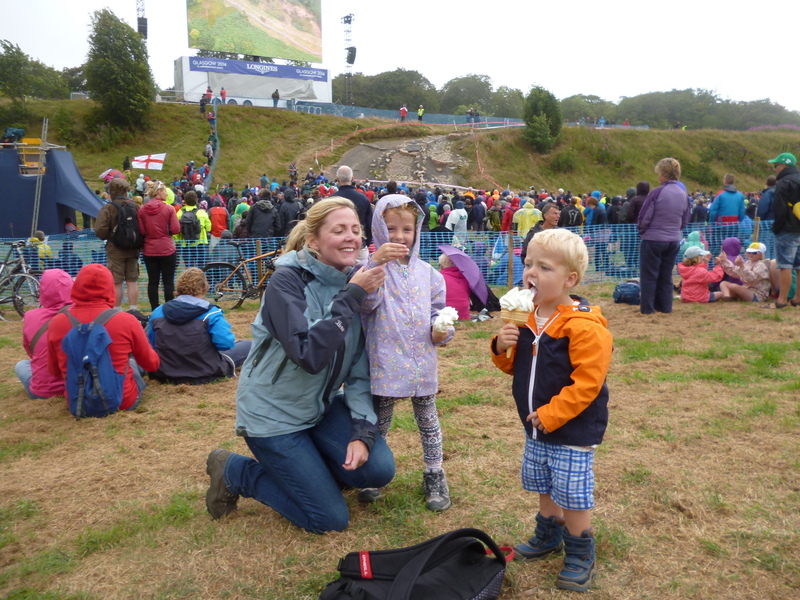 It is now home to one of the UK’s best mountain biking trails and was the setting for the Commonwealth Games mountain bike competition. It is also proof that walkers and mountain-bikers can co-exist without conflict. The vast network of tracks and paths within Cathkin Braes ensures that even on a busy day we tend not to get in each other’s way. 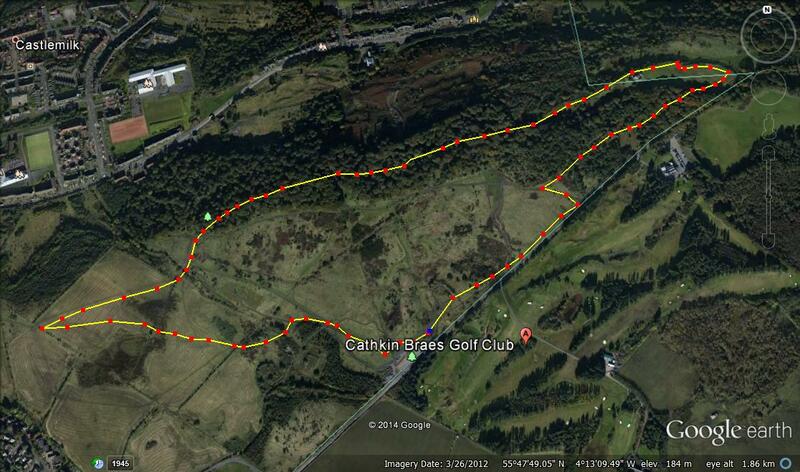 What’s ideal about Cathkin Braes for us is that it is within easy walking distance from our house and if the children are misbehaving we can speed-march them up the hill or the bad fox will catch them. The start of this walk is from the large car park on Cathkin Road which is a few hundred metres up the hill from Carmunnock (Glasgow’s only village). Head west across the fairly flat, open ground. After about 800 metres this leads to a viewpoint at the edge of the tree line over-looking Carmunnock and you can see as far as Arran. Then change to a north easterly direction until you enter the forest. Take one of the many tracks going east. It’s probably best to stay near to the tree line that you entered from. After about a kilometre you should come into open ground. You’ll see a building with a huge mast. Beside it is a trig point (we love trig points). This is a fantastic place to stop for a picnic as you can see the whole of Glasgow, the Campsies, Ben Lomond and beyond. From there walk over to the stone circle feature which is clearly visible form the trig point. 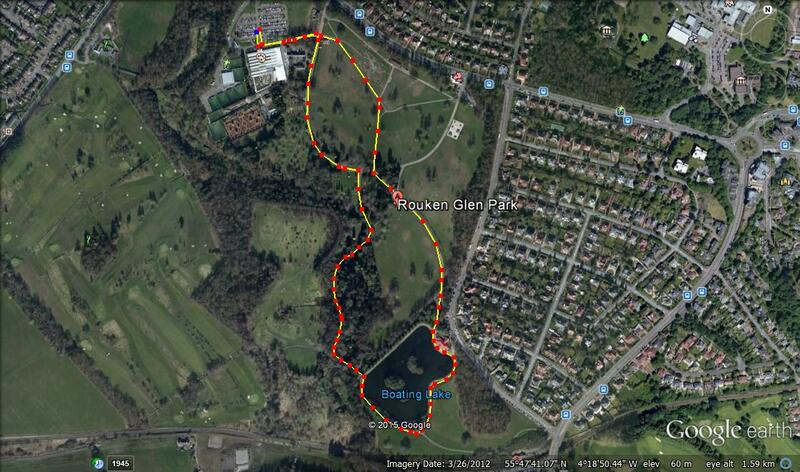 To get back to the car follow any of the paths through the trees which run parallel to Cathkin Road. A visit to Carmunnock is to be recommended. We’ve had great days out there at the Carmunnock Highland Games and we’ve often stopped at Mitchell’s for dinner and to look at the fish tank. This entry was posted in Glasgow and Surrounds and tagged Cathkin walks, city walks, Glasgow walks on October 16, 2014 by scotlandwalkswithchildren. The west end of Glasgow was my happy hunting ground in my years as a student at Glasgow University. 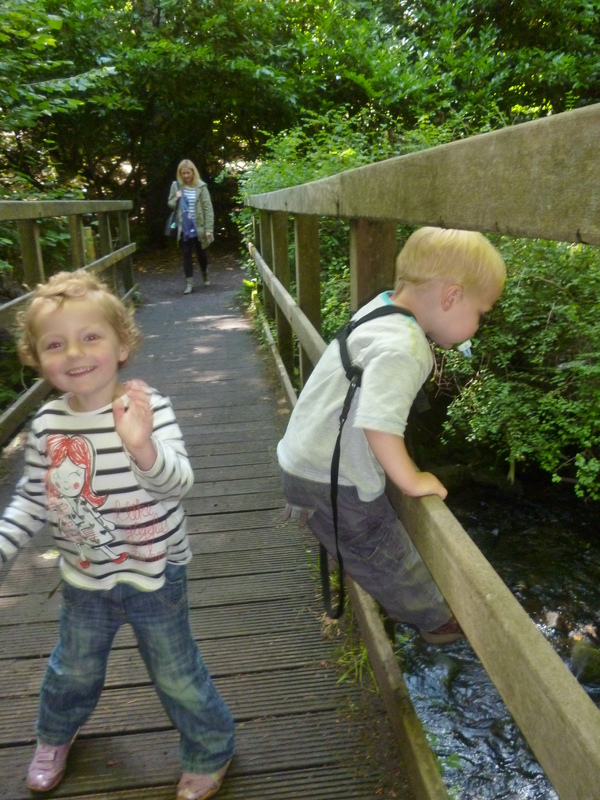 It is also a fantastic urban adventure for the children as there’s loads to do. We’ve carried out a number of incursions into the West End and on our most recent mission we identified three key objectives. The Botanic Gardens is your first port of call so find a parking space close by. If you are in a metered zone make sure you buy a parking ticket. The parking attendants do not mess about here. The gardens are open all year round (free entry) and there are 19.6 hectares to wander around in. These gardens extend to the river Kelvin walkway. The Glasshouse (Kibble Palace) and Tearooms are also worth a visit and are open during the day. From the Botanic Gardens head along Byres Road. Take a left at Dumbarton Road. By all means stop for lunch at one of the cafes along the route. After about 300 metres you will see the magnificent Kelvingrove Art Gallery on the left hand side. When you enter, despite what may appear to be the case the Kelvingrove Art Gallery is in fact not a crèche with loads of things to climb onto, but a museum which is free to visit and show-cases numerous invaluable works of art. Make sure you scare the children by visiting the dinosaurs. The final objective is Kelvingrove Park which is right beside the Kelvingrove Art Gallery. 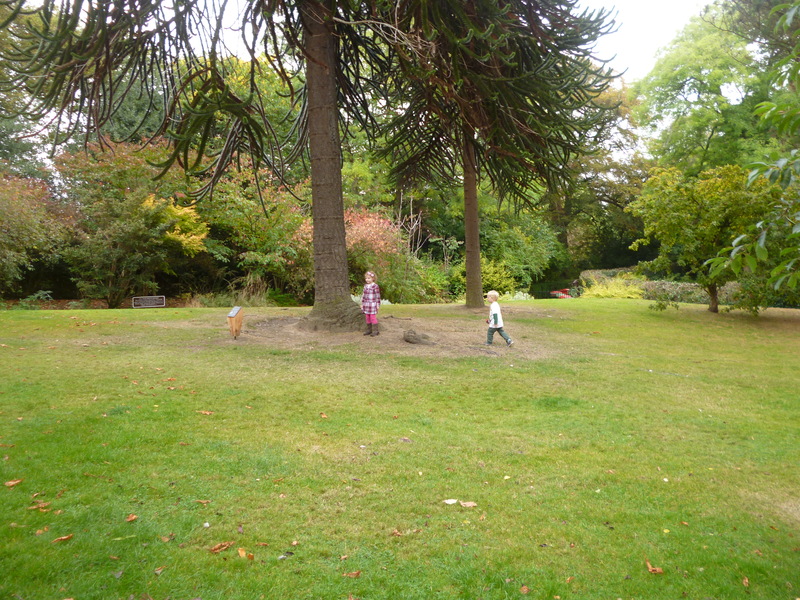 It’s a great park with extensive grounds and for the children there is a skatepark and a playpark beside each other. I could now reminisce about the original skatepark which had been filled in during the 1980s and has made up some of my fondest childhood memories, but that would be self-indulgent. 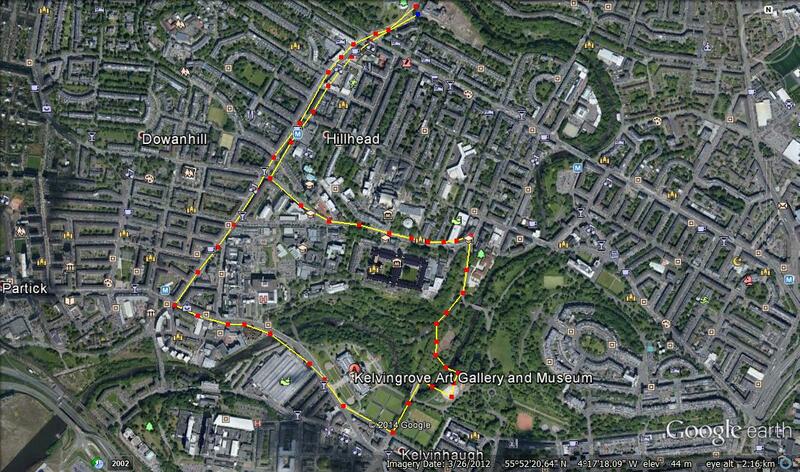 Anyway, when you’re done, walk along Kelvin Way and take a left at Universtiy Avenue which leads you back to Byres Road. This entry was posted in Glasgow and Surrounds and tagged botanic gardens, buggy, Glasgow walks, kelvingrove oark on October 3, 2014 by scotlandwalkswithchildren.